ABNA, Tehran - Speaking at the Supporters of the Media of Arbaeen Conference held at Jamkaran’s Supporters of Imam al-Mahdi Complex, Sayyed Ali Ghazi-Askar stressed that it is necessary for the media to give specific attention to covering the carious aspects of the great epic Arbaeen walk toward the Holy Shrine of Imam Hussain in the Iraqi city of Karbala. Sayyed Ghazi-Askar also emphasized that if we want to combat ignorance, deviancy and oppression, we must note that keeping Arba’in alive is a move in this direction because it means that we have paid allegiance to all of the Imams and we will not leave this path. His Eminence noted that our fight against injustice, oppression, hypocrisy and deception is a lesson which we have learned from Imam Hussain and added that this issue must be especially demonstrated on the day of Arba’in. Sayyed Ghazi-Askar added that the Wahhabi ideology is quite different from Sunni doctrine because the key link between Shia and Sunnis is the love of the Ahlul-Bayt. “Indeed if we pursue this issue, Arbaeen can become a source of unity among Muslims and the oppressed throughout the world,” he said. He also called on the media to highlight the international and anti-imperialistic dimensions of Arbaeen and added that all must work and be vigilant by using the slogans of anti-imperialism, brotherhood and sacrifice so that the enemies do not attempt to misuse some marginal issues or use false ideologies to their advantage. In conclusion, Sayyed Ghazi-Asgar said we must demonstrate a communal and a self-sacrificing lifestyle in regard to Arbaeen and introduce it as a model to society because if we can highlight the objectives and effects of Arbaeen, undoubtedly, we can combat cultural and social damages. 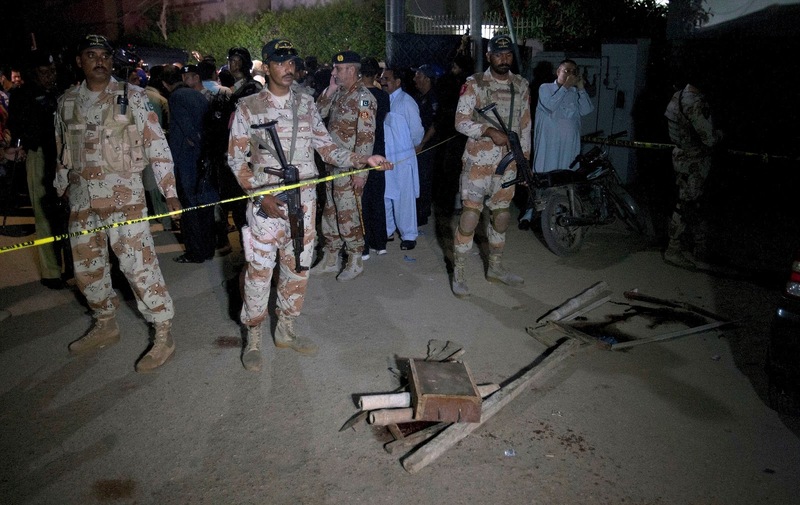 Karachi police chief Mushtaq Mahar said that it appeared to be a sectarian attack. “A group of outlawed Lashkar-i-Jhangvi has been active in the city and the threat will persist until their arrest,” he added. He said that the police decided to provide security to every majlis in the city. The Majlis Wahdat-i-Muslimeen (biggest Shiite political-religious party in Pakistan) strongly condemned the attack and said that such incidents were the outcome of the “free hand” given to the banned outfits by the federal government, particularly the interior minister. 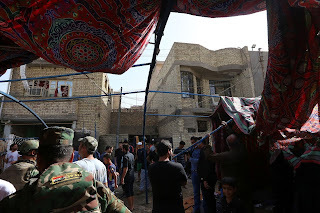 On Oct 17, a Shi'a boy was martyred and seven others were wounded when an improvised explosive device exploded during a majlis of women at the Imambargah Dar-i-Abbas in Liaquatabad. The IED was thrown by two pillion-riders. 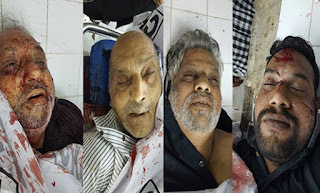 On Oct 8, armed motorcyclists shot dead a Shia man and wounded his cousin when they were standing outside a house in Gulshan-i-Iqbal, where a majlis of women was being held. 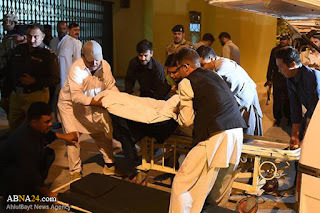 On the same day, assailants riding a motorbike killed a trustee of an Imambargah (Shiite religious house for mourning) and wounded his son outside their Gulistan-i-Jauhar home as soon as they reached there after attending a majlis. The Lashkar-e-Jhangvi (LJ), whose roots are in the heartland Punjab province, has a history of carrying out sectarian attacks across the Pakistan especially in Baluchistan, particularly against the Shia Muslims. They have killed hundreds of Shia Muslims in the silence of the government and media. The Lashkar-e-Jhangvi (LJ) was founded in 1996 as a militant offshoot of Sipah-i-Sahaba Pakistan, a Deobandi and anti-Shia group that emerged in the mid-1980s in reaction to class-based conflict and the domestic Pakistani Shia revival. LJ seeks to transform Pakistan into a Deobandi-dominated Salafi/Nasbi state, and primarily targets Shia and other religious minorities, according to National Counter Terrorism Centre of the US Government. …We will make Pakistan their graveyard—their houses will be destroyed by bombs and suicide bombers. Karachi, Oct 29 - Five Shia Momneen including a woman were killed and six others injured when unknown assailants opened fire today at a Shia religious gathering (Majlis) here in Pakistan. 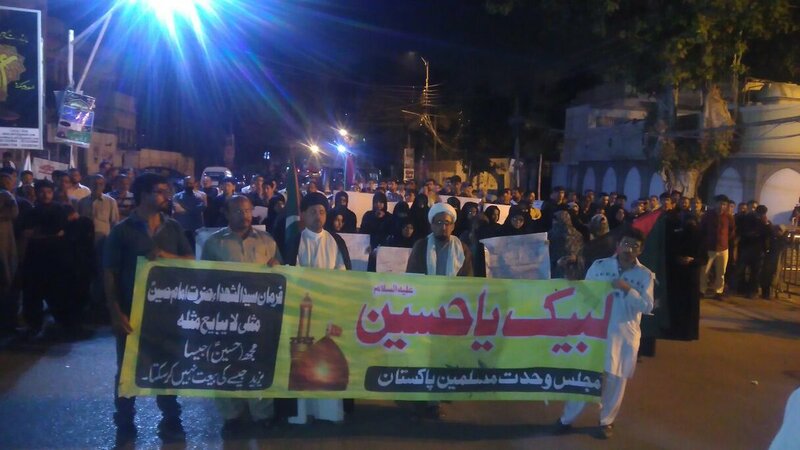 The incident took place at the home of a Shia Muslim doctor in Karachi's Nazimabad area where people had gathered for a religious meeting. "Four men wearing helmets and riding on motorcycles came to the house where the religious gathering was taking place in the month of Muharram and they opened indiscriminate firing on the people standing at the gate," a senior police official said. 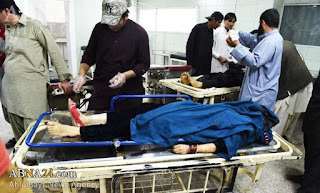 "Five dead bodies have been brought to the Abbasi Shaheed hospital including that off a woman," Dr Roohina said. She said six other injured people were also brought with bullet wounds and condition of two patients was critical. SSP West, Nasir Aftab told the media that the residents of the house had not sought security for having the private Majlis. "The police was not informed about this religious gathering and there was no security," he said. 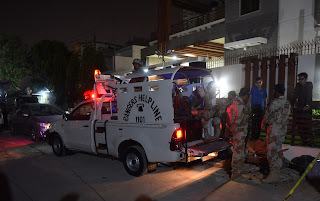 Ironically, the house outside which the firing took place is located in a lane just behind the Nazimabad police station and is also close to a Rangers checkpoint. IG Sindh, AD Khawaja said that the Majlis was taking place at the house of Dr Asad Kohati who was targeted first by the gunmen who came and opened fire and fled away. Shia Muslims are frequently targeted in sectarian violence in Karachi and Quetta, the capital cities of Sindh and Baluchistan provinces. The attack took place despite the security agencies and law enforcement agencies being on high alert during the month of Muharram when Shia Muslims hold religious gathering throughout the month. ABNA, Islamabad (Pakistan) : Pakistan's anti-terrorism police arrested four alleged terrorists of banned militant outfits on Friday, who were said to be involved in Shiite (Shia) killings and attacks on law enforcers. 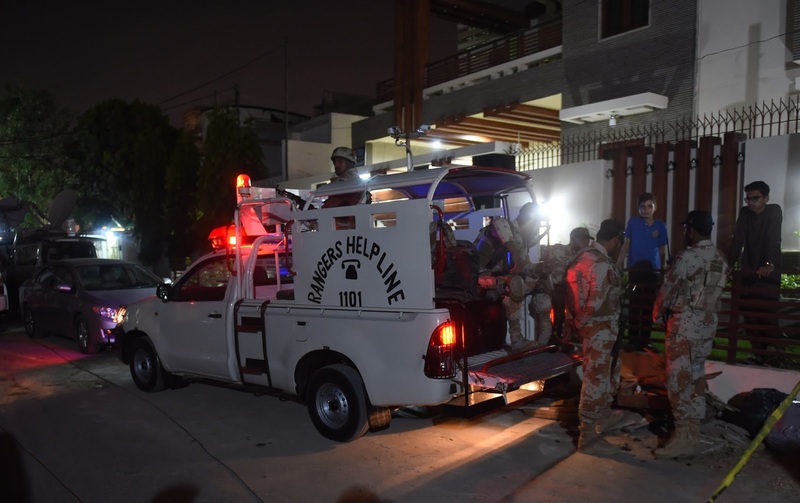 The four men, identified as Hafiz Noor alias Noor Ghausia, Zikeria alias Maviya, Muzaffar Ashiq alias Kajee alias Hussaini alias Khalid and Moiz, were taken into custody during raids conducted in Korangi, Bilal Colony and Orangi areas. Weapons and suicide vests were also seized during the raids carried out by personnel of the Counter Terrorism Department’s (CTD) Operations-II, said a statement, adding that the arrests were made on the basis of a tip-off about the presence of terrorists in those areas. During a search of hideouts, the police found a suicide vest, three 30-bore pistols, two cellphones, four hand grenades, 70 bullets of a 30-bore pistol and Rs12,600. The statement said the suspects received training in neighbor country, carried out attacks on law enforcers and killed people belonging to the Shia Muslim community. During the initial interrogation, Hafiz Noor said he had the expertise to prepare suicide jackets containing ball bearings, ball bombs and detonators. He said he made more than 50 suicide vests. He said their two accomplices—Hussain Abid, an absconder, and Guddu, who is in jail—were also involved in terrorism activities. Zikeria Maviya allegedly carried out attacks on security forces in Waziristan, facilitated a target killers’ team and possessed a weapon that was used in target killings. He also recruited youngsters and handed them over to the outlawed Al-Qaeda Indian Subcontinent. Muzaffar worked as an extortionist for the banned organisation and during the year 2014 he murdered Akhtar Niazi and Farhan in the Eidgah area after they refused to pay an extortion amount he had demanded, said the statement. In 2010, Moiz killed a member of the Shia community near Mosamyat and also worked as a weapon facilitator for AQIS. Moreover, he tasked militants with targeting members of the Shi'a Muslim community. Pakistan's anti-terrorism police arrested four alleged terrorists of banned militant outfits on Friday, who were said to be involved in Shiite (Shia) killings and attacks on law enforcers. Commanders of the ISIS terrorist group are fleeing the Iraqi city of Mosul amid the all-out offensive of Iraqi forces, local media said. 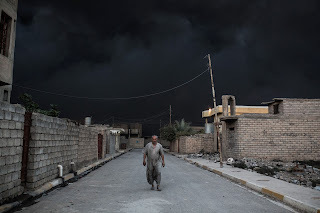 Mosul, some 400 km north of the Iraqi capital of Baghdad, was where top IS leader Abu Bakr al-Baghdadi declared his "caliphate" two years ago but is now the group's last major stronghold in Iraq. 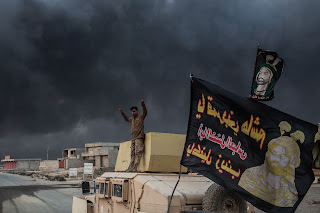 The launch of a major offensive to retake the country's second largest city from the extremist IS group was announced on Monday by Iraqi Prime Minister Haider al-Abadi, who is also the commander-in-chief of the Iraqi forces. "Today I declare the launch of the operation of liberating Nineveh province. The time of victory has come, and the moment of the great victory is approaching," Abadi said in a brief address aired on national TV channel Al Iraqiya. The Iraqi army has retaken dozens of villages in Mosul, and are planning multiple attacks for Thursday. "We are telling Daesh (ISIS) that their leaders are abandoning them. We've seen a movement out of Mosul," said Major General Gary Volesky, who heads the anti-IS coalition's land component. While Iraqi security forces on Wednesday fought against the ISIS militants, the Kurdish Peshmerga forces repelled an ISIS attack on the northern town of Sinjar and killed 47 militants. In the third day of the offensive, the troops fought sporadic clashes with ISIS militants in several areas in northeast and east of Mosul, while the Peshmerga forces shelled ISIS positions with artillery and mortar rounds near the towns of Bashiqa and Butilla in northeast of Mosul, a security source from the Operations Command of Nineveh Liberation said on condition of anonymity. 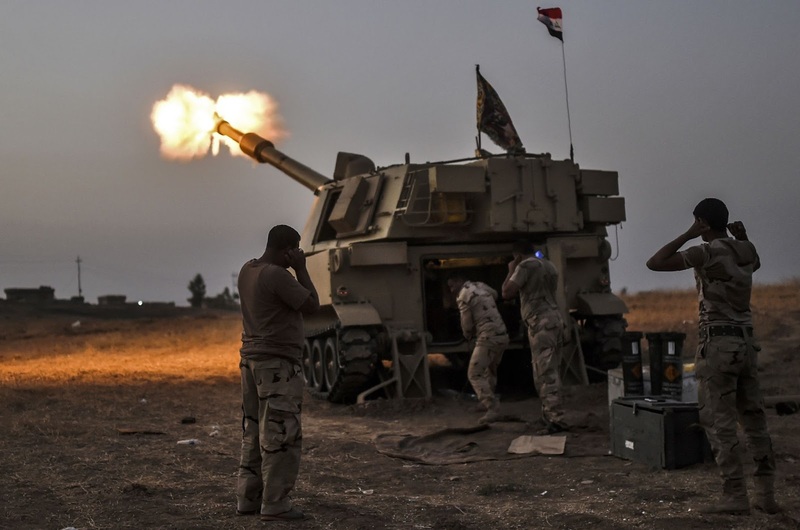 Meanwhile, the Iraqi army continued their clashes with ISIS militants at the edge of the town of Hamdaniyah, some 40 km southeast of Mosul, after repeated attempts to enter the town following the militants showed stiff resistance, the source said. 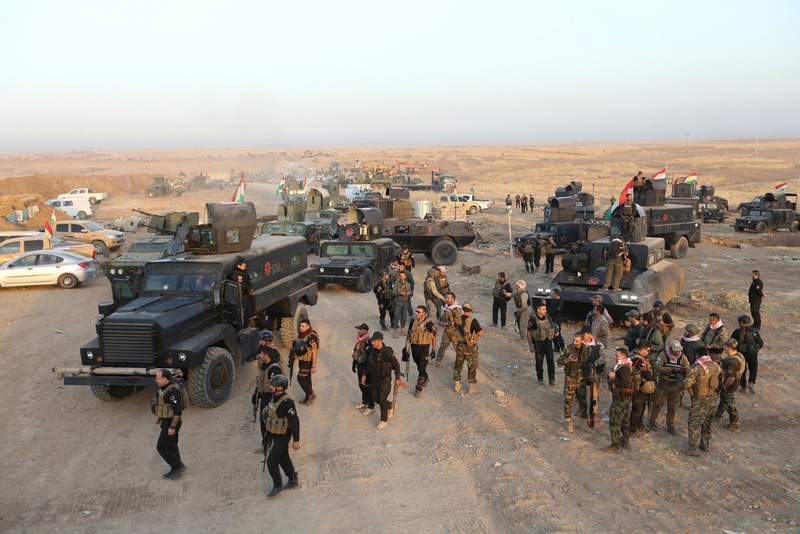 The troops destroyed the three suicide car bombs and killed up to 47 extremist militants after several hours of fierce clashes, Khansouri said, adding that three Peshmerga members sustained serious wounds and were evacuated to the town hospital. 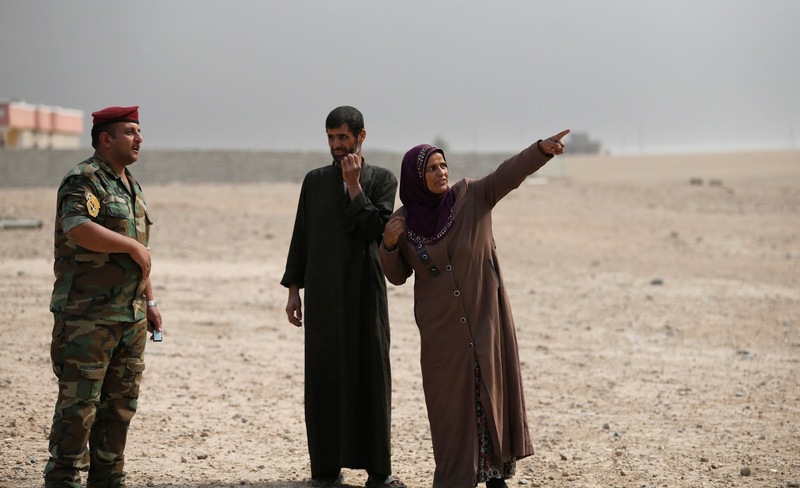 The United Nations Special Rapporteur on the human rights of internally displaced persons, Chaloka Beyani, on Wednesday warned that, in a worst-case scenario, 1 million people could be displaced as Iraqi forces launch a military campaign to retake Mosul from the ISIS. He also said that as many as 700,000 people in Mosul could be in need of emergency shelters. Khazer, Oct 20 - Iraqi special forces charged into the Mosul battle today with a pre-dawn advance on a nearby town held by the Islamic State group, a key part of a multi-pronged assault on eastern approaches to the besieged city. The addition of the elite troops, also known as counterterrorism forces, marked a significant intensification of the fight for Iraq's second-largest city. As they advanced, attack helicopters fired on the militants and heavy gunfire echoed across the plains. Maj Gen. Maan al-Saadi said the elite Counterterrorism Forces advanced on the town of Bartella with the aid of US-led coalition airstrikes and heavy artillery on the fourth day of a massive operation to retake Iraq's second-largest city. "God willing, we will take this town today," he said. The special forces are expected to lead the way into Mosul, where they will face fierce resistance in an urban landscape where IS militants are preparing for a climactic battle. The offensive is the largest operation launched by Iraqi forces since the 2003 US-led invasion, and is expected to take weeks, if not months. The Kurdish forces known as peshmerga, who are also taking part in the offensive, announced a "large-scale operation" to the north and northeast of Mosul today. "The operation will be in three fronts," the peshmerga said in a statement, and follows recent gains by the peshmerga to the east of Mosul and Iraqi security forces to the south. Peshmerga forces stationed on mountains northeast of Mosul descended from their positions and charged toward the front line. They used bulldozers and other heavy equipment to fill trenches and moved armored vehicles into the breach after about an hour of mortar and gunfire at IS positions below in the village of Barima. Military operations also appeared to be underway in the town of Bashiqa, northeast of Mosul. Thick smoke could be seen billowing from the town early today. A day earlier, Bashiqa was pounded by airstrikes and mortar fire from Kurdish peshmerga positions high above. 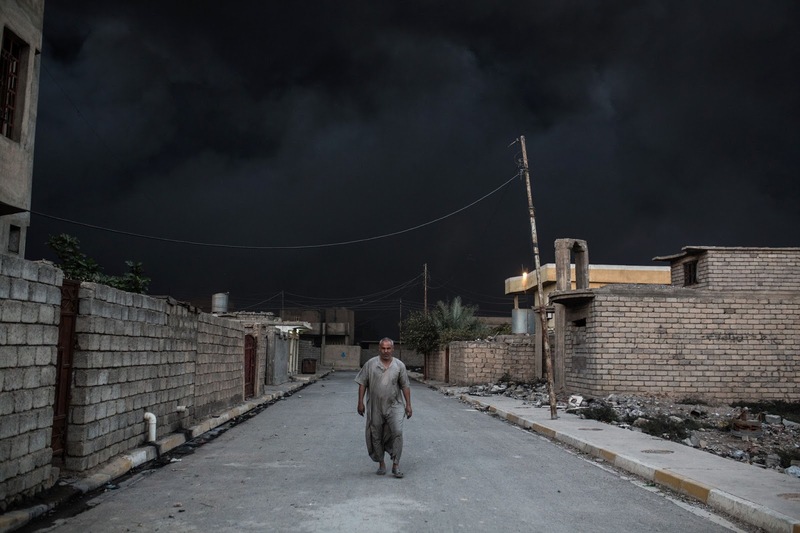 The approaches to Mosul run through clusters of mostly abandoned villages where IS militants have planted roadside bombs and other booby traps. Bartella, a traditionally Christian town which fell to IS two years ago, is believed to be empty of civilians. "Our intelligence tells us the district is full of IEDs," al-Saadi said, referring to the homemade explosives IS has planted in huge numbers during past campaigns. Baghdad, Oct 15 - Attacks killed at least 46 people in Iraq today, including a suicide bombing claimed by the Islamic State group that was the deadliest to hit Baghdad in months. The violence comes as Iraqi forces prepare for an operation to retake Mosul, the last IS-held city in the country -- a key battle, but one that will not end the threat of attacks such as those carried out on Saturday. 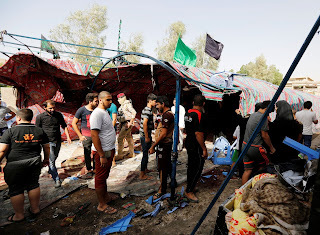 In the deadliest attack, a suicide bomber targeted a funeral tent where mourners were gathered to pay their respects in the Shiite-majority Shaab area of north Baghdad, killing at least 34 people and wounding least 36, officials said. IS issued an online statement claiming the attack, saying it was carried out by a man who detonated an explosive vest. A witness said the bomber entered the funeral tent and blew himself up as lunch was being served. 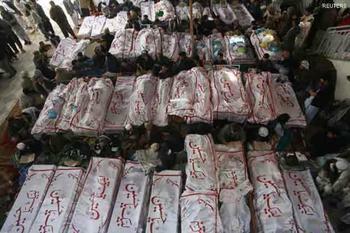 "I saw with my eyes 20 martyrs on the ground," the witness said. Blood stained the ground at the scene of the attack, which was littered with the remains of plastics chairs mourners had been seated on. IS, a Sunni extremist group, considers Shiites to be heretics, and frequently carries out suicide bombings and other attacks against them in Baghdad and elsewhere in the country. Today's bombing is the deadliest to hit the Iraqi capital since early July, when a suicide bombing in central Baghdad sparked infernos in a crowded shopping area, killing more than 300 people. That attack led to a shakeup of senior Baghdad security officials and the announcement of other measures aimed at improving security in the capital, but the bombings have continued. Also today, militants attacked two areas north of Baghdad, killing a further 12 people, according to police. In Malha, an area east of the city of Tikrit, suicide bombers attacked a federal police position, killing eight and wounding 11, officers said. And in the Ishaqi area, two militants shot dead the wife and three children of the commander of local tribal forces before fleeing and blowing themselves up when they were cornered by Iraqi forces. There was no immediate claim of responsibility for those two attacks, but the Baghdad bombing was just the latest in a series that IS has said it carried out against Shiites in the capital. SRINAGAR, Kashmir (ANA) - Processions continue across the valley on 7th Muharram organized by J&K Anjuman-e-Sharie Shian. 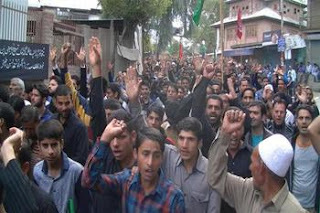 Muharram Processions were taken out from Undroon Kathi Darwaza Rainawari, Wata Magam, Patwaw, Karipora Budgam. 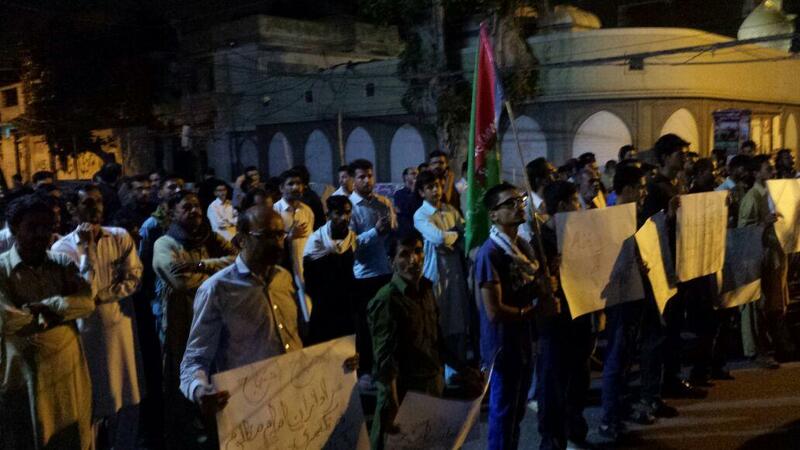 Instead of curfew imposed by state administration in Undroon Kathi Darwaza Rainawari, mourners take out the procession. Mourners expressed outrage against the Indian repression and ban on Muharram processions while reading Marsia and lamentations. They also condemned the continuous house arrest of President J&K Anjuman-e-Sharie Shian Aga Syed Hassan Almsovi Alsafvi from past 3 months. 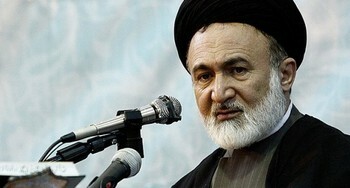 The senior Shia cleric could not accomplish his bounden duties in view of Muharram due to his continuous house arrest. 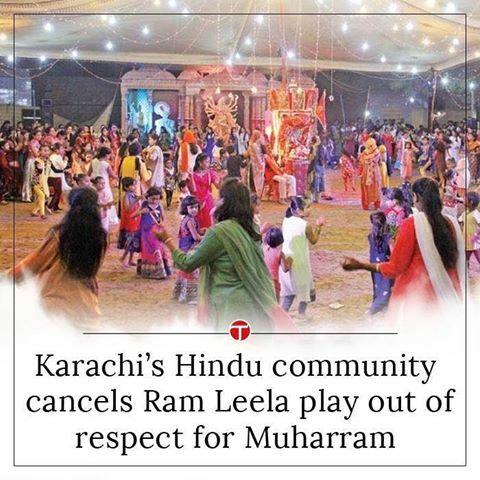 He could not participate in any Muharram procession of this year till date. Meanwhile, he expressed outrage over the martyrdom of 13th year innocent boy Junaid resident of Saidapora Eidgah Srinagar and declared it a ferocious fete of Indian force. He said on one hand State administration is showing fake care towards the educational future of students but on the other hand these children are targeted and killed by pellet shells. 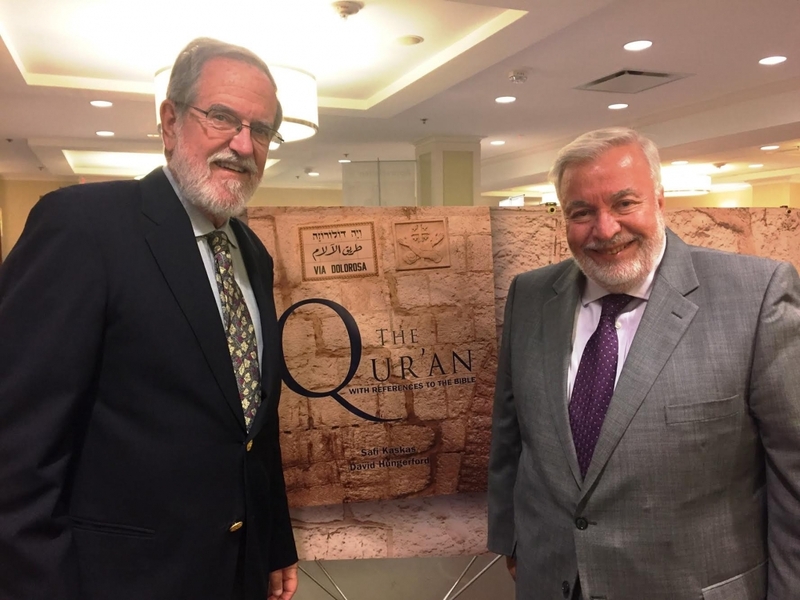 Chicago-Looking to dispel the notion that Islam is an inherently violent religion, a Muslim entrepreneur and an evangelical doctor have come together to create a new translation of the Quran that includes over 3,000 references to the Bible in an attempt to show Americans the commonalities between Islam and Christianity. Safi Kaskas, a Muslim Lebanese-born strategic management executive and co-founder of East-West University in Chicago, and Dr. David Hungerford, a Christian orthopedic surgeon with over 38 years of experience at Johns Hopkins University and The Good Samaritan Hospital in Baltimore, Maryland, released The Quran — With References to the Bible: A Contemporary Understanding earlier this year. As both Kaskas and Hungerford have deep knowledge of their respective religious texts and serve on the board of the Bridges to Common Ground organization, they felt the need to show that the Quran does not encourage Muslims to senselessly kill non-Muslims in the name of Allah but rather calls on Muslims to find a way to coexist with non-Muslims in peace. Bangkok - President Rouhani made the remarks in a mourning ceremony in Bangkok to commemorate martyrdom anniversary of Imam Hussein (AS), the grandson of Prophet Muhammad (PBUH)). The ceremony was also attended by a number of Iranians living in Thailand and Shia ulema. Imam Hussein (AS) sacrificed his life for the sake of freedom of mankind and his goals were universal and were not limited to a special group, that's why he became eternal, Rouhani said. (AhlulBayt News Agency) - Pope Francis has send a letter to respond Ayat. Makarem Shirazi's letter earlier in August who cherished Pope’s position on Islam. Mehr News has been informed that Pope Francis, leader of the Catholic world, expressed gratitude to Ayatollah Makarem Shirazi for his letter to Vatican. “Pope Francis was pleased upon receiving your eminence’s letter and expressed his gratitude,” reads the letter, “as his eminence, Ayatollah Makarem is already aware, the message of all religions, particularly monotheistic religions, is primarily the absolute worship of God by mankind in addition to expressing love and respect for all the people with whom we interact. Therefore, administering violence, especially when carried out under the name of God or religion, is considered as a major insult to God almighty, it is further a form of great injustice against the oppressed,” Pope said in the letter. “Therefore, present religious leaders of the world need to stand united, more than ever before, to voice their support for the entitlement of every human being to their dignity and legitimate rights,” it concluded. During his Poland, visit, Pope Francis had asserted that Islam had nothing to do with terrorism and violence and no divine religion should be associated with such terms. 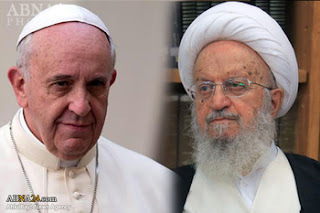 (AhlulBayt News Agency) - Grand Ayatollah Makarem Shirazi wrote a letter to Pope Francis to appreciate his recent remarks in which he said "Islam is not Terrorism". I'm really delighted to have heard your comments during your last trip to Poland in which you stated "Islam is not terrorism" and further dismissed all divine religions of any form of violations or radicalism. Your wise stand regarding the religion of Islam and dismissing it of inhumane actions carried out by Takfiri groups such as ISIS is really admired. It goes without saying that clear and strong positions taken by world's religious leaders against the inhumane violations, especially those carried out under the name of religion in any part of the world, is a vital obligation. I strongly condemned Takfiris' vicious terrorist attack on the French Church which led to the cruel murder of a priest; as I've already said in my previous letter, I clearly declare, according to all Muslim Ulama (Scholars) as well as the vast majority of Muslim community, Takfiri sects are non-Islamic and are considered as the world's worst crisis in the present era. We've been warning the world of this great danger for years. Undoubtedly, the Takfiri terrorist groups would have been destroyed by now if it wasn't for the arrogant powers' support and helps to them. As your eminence have remarked, such violations have nothing to do with religions or denominations, rather they are originated from hegemonic government's inferior materialistic objectives in order to collect illegitimate wealth. Fortunately, public awareness has been raised regarding radical and extremist behaviors and we can be hopeful that such actions finally come to an end. 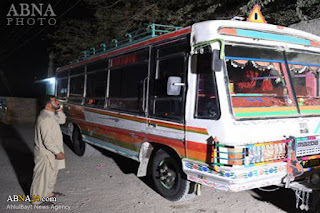 QUETTA, Pakistan (AhlulBayt News Agency) - At least four Shiite women were martyred and one injured when unidentified assailants opened fire on a bus on Kirani road near Pud Gali Chowk area of the provincial capital on Tuesday evening. "The bus was stopped and the women were shot because of their religion," said provincial government's spokesman Anwarul Haq Kakar. Following the Muharram procession, security measures were already tightened in the capital city of Balochistan and the authorities had already imposed section 144 and ban pillion riding. 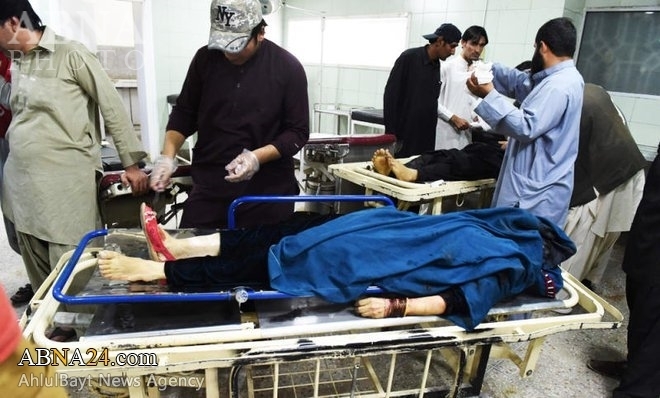 A senior police official also confirmed that the deceased women belonged to Shia Muslim community and were allegedly targeted due to their religion. The four Shia Women martyrs are: 1. Maryam w/o Salman Ali D/o Ghulam Hussain, 2. Khatama w/o Mohammad Naeem d/o Salman Ali, 3. Maryam d/o Ali Khan, 4. unknown (looks like Hazara). No group claimed responsibility for the deadly attack. Balochistan has been experiencing incident violence and targeted killings since more than a decade. More than 1,400 incidents targeting the minority Shia Muslims have taken place in the province during the past 15 years. In May last year, 43 members of the Shiite community were killed when their bus was stopped and riddled with bullets in Karachi by militants claiming to be affiliated with the ISIS militants. Terrorism in Pakistan (Nasbi, Salafi) has targeted the Shi'ite and also Sunni community and there is no any exception. Shia and Sunni in Pakistan have much in common and recently their leaders had a unity conference in Peshawar call for interfaith harmony and peaceful coexistence. Tehran, Oct 4 - The head of Iran's space agency said today his country is interested in cooperating with NASA. Speaking to reporters at the start of World Space Week, Mohsen Bahrami said that "many in the world look at NASA's programs. We are interested in having cooperation, naturally. When you are in orbit, there is no country and race." It was the first time Iran had expressed such interest since signing last summer's landmark nuclear deal with world powers. 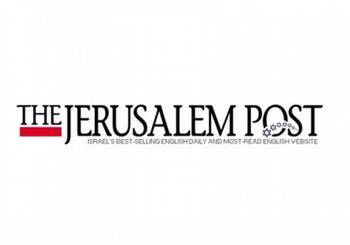 Bahrami said, however, that cooperation will only be possible with the agreement of leaders of both countries. He emphasised that Iran has a peaceful and powerful civil space program. "We have capabilities and we are part of an international scene," he said. Iran has begun negotiations on technical cooperation with the space agencies of various countries in Europe, as well as Russia, China and Japan, Bahrami said. He did not elaborate. Iran has long harbored ambitions to put its own satellites into orbit to monitor natural disasters in the earthquake-prone nation, improve telecommunications and expand military surveillance. The US and its allies worry that the same technology could also be used to develop long-range missiles. 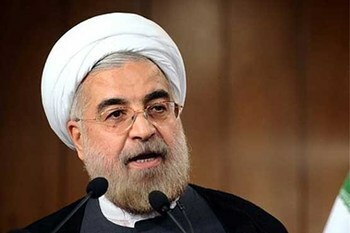 Iran has denied that it is using its space program to develop new weapons, and has said it is willing to share its scientific findings and satellite data with other countries. Over the past decade, Iran has sent dummy satellites to orbit. Bahrami said the country plans to send three domestically-made mini satellites into a low Earth orbit by early 2018.